Hope I explain this right. On occasions when squeezing the clutch while shifting gears I'll feel a slight bind type feel in the lever itself where the end of the cable (barrel thingy) sits inside the clutch lever.The cable is not frayed nor is it sawing against the housing going down towards the clutch. Been playing with the adjustment wheel that adjusts the lever's play and can't get rid of the problem. The bike shifts gears just fine, no issues there. It's just an intermiten feeling in the clutch lever itself that annoys the crap out of me. Anyone experience anything remotely like this? It's normal, there's many threads/posts about it on here and other forums. It's actually the slipper clutch doing it's thing, happens mostly on the downchange....I had the same issue with mine until I came on here and found out I wasn't going crazy. Thanks for the response, I was almost contemplating replacing the clutch cable! Just curious did you adjust extra slack in the lever or keep it per the specs. I want to set the adjustment wheel in one spot so I can stop adjusting the fooking thing now that I know nothing is wrong. 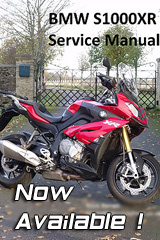 You will find the clutch lever adjusment changes as the engine warms up, if you set the correct freeplay of 1-3mm when cold, it will substantially increase as the engine warms up...and when she cools down it will be back to normal again. Just set when cold and forget...it'll do your head in chasing the adjustment all the time. This phenomenon also seems to be restricted to these S1000 series engines....a hydraulically operated clutch would see this sorted IMHO.